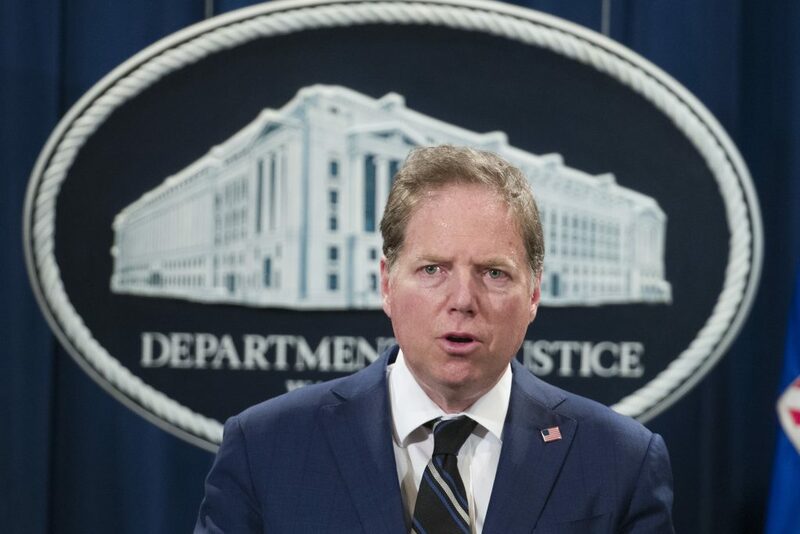 President Donald Trump asked his acting attorney general to put a Trump-allied prosecutor in charge of a federal probe into the president’s role in hush payments during his 2016 campaign, The New York Times reported on Tuesday, citing several American officials. President Trump immediately denied the content of the report. Asked by reporters in the Oval Office if he asked acting Attorney General Matthew Whitaker to change the leadership of the investigation, Trump responded: “No, never,” and said the report was false. The Times reported that Trump asked Whitaker to have Geoffrey Berman, the U.S. attorney for the Southern District of New York and an ally of the president, take over the investigation into the payments. Whitaker denied the president’s request, the Times reported, noting that Berman had been recused from the investigation. The inquiry is being headed by Robert Khuzami, deputy U.S. attorney in the Southern District. Nicholas Biase, a spokesman for the U.S. attorney for the Southern District, declined to comment. If true, Trump’s request could be held up as further evidence that he sought to influence several law enforcement investigations against him and his associates. Democrats have accused President Trump of “obstruction of justice” or intentionally trying to prevent an investigation. Special Counsel Robert Mueller, who is probing whether the Trump campaign worked with Russians to win the election, is also believed to be investigating whether any obstruction occurred. Trump has denied wrongdoing and attacked the Mueller probe. The report sparked concern from Democratic lawmakers, who said it conflicted with Whitaker’s statements to the House of Representatives Judiciary Committee earlier this month that Trump never attempted to meddle in any investigation. The Justice Department said Whitaker stands by his testimony. “Under oath to the House Judiciary Committee, then Acting Attorney General Whitaker stated that ‘at no time has the White House asked for nor have I provided any promises or commitments concerning the special counsel’s investigation or any other investigation,'” said Kerri Kupec, a spokeswoman for the Justice Department. Trump’s former attorney, Michael Cohen, eventually pleaded guilty to campaign finance law violations that related to his paying and helping orchestrate a payment in the weeks before the 2016 election. Cohen, in admitting to his crimes, said he had done so at Trump’s direction.